Hey all, I am up with a card which I made using the faux bleaching technique. It is inspired by Lemon Tea also, so the colors theme is matched with that. 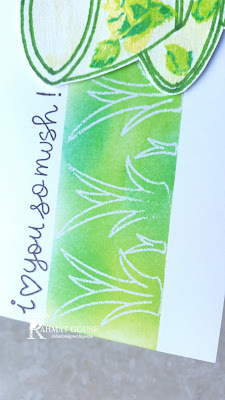 I started with Stamping and heat embossing the shrubs from Lawn Fawn, I used clear EP here, followed by masking and inking the panel with 2 shades of distresss inks, citron and lemonade shades. Then I cover the panel with a paper and ironed it , so that the embossing comes off to reveal the faux bleach effect, this is my first try and I would call it a success, as I managed to get off the embossing completely. The cup is drew by me on a water color paper, I also did some stamping using the Altenew vintage roses, and fussy cut it to add. The sentiment is from the same set from Lawn fawn. Sounds like a fun technique I will have to try. Very lovely & creative! beautiful card, love the color combination and watercoloring. Lovely card and so creative. Love the punny sentiment, the lovely green and the beautiful tea cup! Such a beautiful card, Rahmat! Love the colors you created! This is amazing love it! how pretty! Love your hand drawn cup...it's awesome. Gorgeous summer card! It just reminds of cool, fresh, grassy fields in the sunshine! Beautiful! 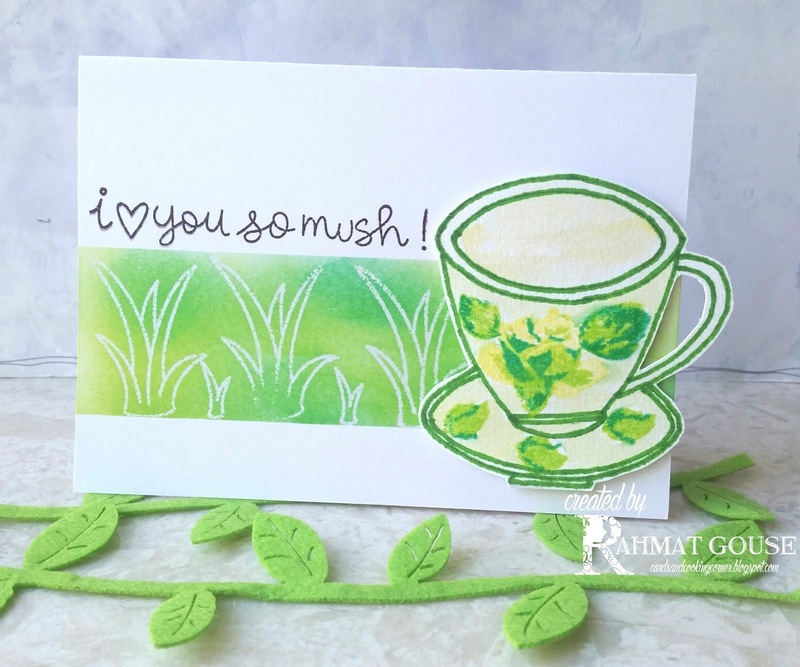 Very pretty card, Rahmat, your cup is fabulous and I love the green! Happy Hopping and Enjoy your summer. I love the pretty green! Lovely!! Love your happy colors on this card! So pretty in these summer colors. It's not just okay, it's really pretty. I love the green. Awesome card and what a super technique! Goodness Rahmat! Can't get over that you drew the teacup! It is superb and the perfect embellishment for your fantastic panel. Thanks so much for sharing this with us at Less is More. This is great fun Rahmat! Another visually soothing card. This is so cute and such a sweet sentiment. Wow! You drew the cup! It is awesome! This is a great creation! 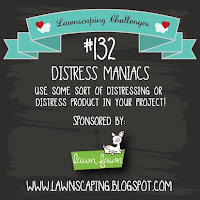 Thank you for playing along with us at Lawnscaping Challenges!